1. Glue each row of wine corks separately. For instance, in the photo, the bottom row includes 4 wine corks. Glue those together and set them aside. The next row has 5 wine corks, so glue those together and set them aside. Do this for all five rows in the photo. 2. Once each individual row has been created, glue them together (one row at a time). 3. After all of the rows are glued together, add your green champagne cork to the top to serve as the stem. You will want to be extremely generous with the glue to make it stick well. 4. Optional step: Add leaves, twine, and straw ribbon around the stem. In the example, I used a hole puncher on the fake leaves and put the twine through the holes to keep everything in place and then used the hot glue gun to make the leaves stay where I wanted them to be. 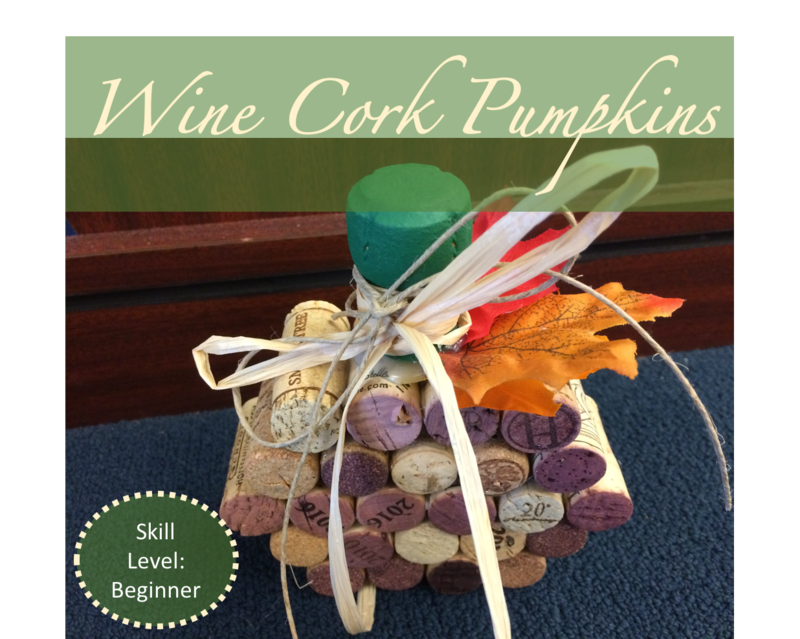 We hope that you enjoy this fun wine cork craft!